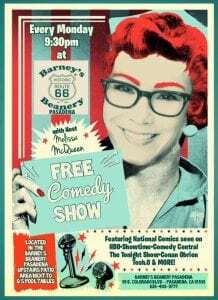 Comedy Night at Barney's Beanery in Pasadena ! 9:00pm Showtime! LIVE CD Taping @ Victor's SpeakEasy in Long Beach!